So I had the previous build of NIS but wanted to upgrade to Norton Internet Security - version 21.1.1.7. so I did and now the **bleep** monkey is in ENGLISH language? How to return to DUTCH language with this build 21.1.1.7 ? Currently this patch is only available for English versions of the products. Other languages will be available shortly. So it appears you jumped in and now the only way I know for you to get back to 21.1.0.18, is to find that download in Dutch and do a reinstall. http://www.norton.com/nl/nis21 Would be my guess for the download. Ah ok.. but how do i know when to download the 21.1.1.7 DUTCH? There should be an edit to the announcment Tony posted (link above) when the other languages become available. 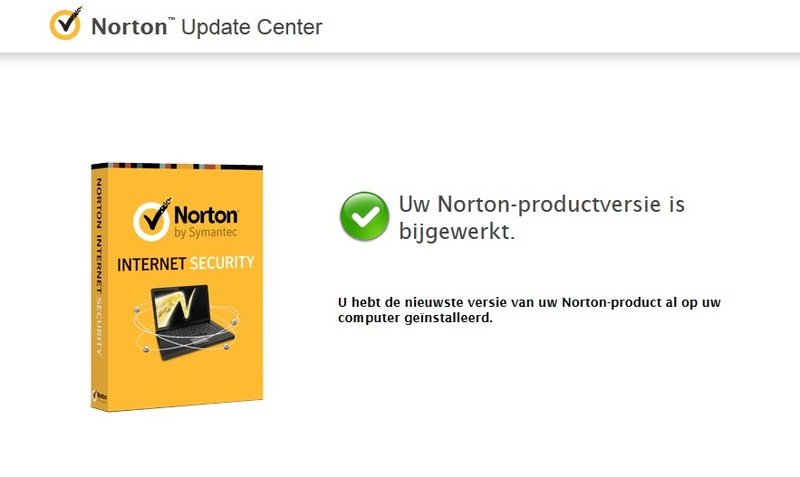 I would assume the other languages will also be offered via the Norton Update Center - just as the English version was. Is that the same as in my NIS main UI Support -> New Version Check? Or is it somewhere else? You have to select that you are using v20. EDIT: Ok it worked now... why do I have to choose/select v20?? PS. Isn't there a download link for the latest NIS Build, not to update but the whole .exe?